and Water and Sewer Lines. Renico Earthworks and Civils (Pty) Ltd, a member of the Renico Group of Companies, was established in 2015 by the Renico Group’s Managing Director, Nico Louw. The company’s constant drive to acquire brown and greenfield land for Commercial, Industrial, Retail and especially Residential development clearly indicated the growing need for an earthworks and civils arm within the company. All earthworks and civils work had been outsourced previously. 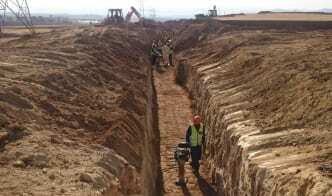 Since its establishment, Renico Earthworks and Civils has become a specialist township developer, with superior experience in bulk earthworks, super basements and road works. Renico Earthworks and Civils is today a fully-fledged, reputable Civil Contractor attending to various township servicing projects from single earthworks contracts and specialist civils work to larger township civils services, both for Renico Construction and on a turnkey basis for clients. The availability of more than 400 large pieces of earthmoving equipment through Renico Plant Hire (Pty) Ltd, another member of the Renico Group, greatly facilitates all aspects of the work the company undertakes. The Renico Group has divisions covering land acquisition, town planning, property development, property ownership and property management. Renico Earthworks and Civils has become the key to enabling township development from raw farmland, resulting eventually in the selling or leasing of completed developments. 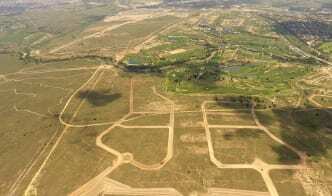 Renico Earthworks and Civils is managed by Dewald Hutten, the company CEO. 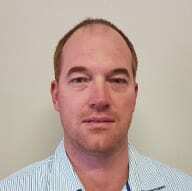 Dewald is a qualified Civil Engineer and has years of experience in not only civils design but also civils construction work. Members of the Renico Earthworks and Civils management team are all well qualified in the field of Engineering, and our Site Managers hold relevant qualifications and have years of experience in all facets of civils and infrastructure work. Since 2015 Renico Earthworks and Civils has attended to various bulk and large earthworks contracts. With our dynamic team having a strong focus on township civils works, the number of township development projects undertaken is long. Steyn City Phase 2; Randpark Extensions 12, 140 and 105; and Bergbron Ext. 14 township civils, all completed recently, are just a few of these. 18 000² single level semi enclosed shopping mall. This project necessitated the importing of 60 000m³ earth material and the moving of 30 500m³ earth material for cut and fill. The R 280 000 000 contract for construction of internal services in Phase 2 of Steyn City Parkland Residence was also awarded to Renico Earthworks & Civils. The project is expected to take 20 months to complete. Looking to Buy or Rent directly from the Developer? Renico Construction is a specialist in the development of residential, commercial and industrial developments. Our products offer great value for money and we are know for always handing our developments over on time. The majority of our developments occur in and around Johannesburg. Renico Plant Hire has a fleet of over 400 pieces of equipment made up of TLBs, excavators, wheel loaders, skidsteers , telehandlers, ADTs, graders, water carts, rollers, and numerous trucks of different capacity. Its extensive truck fleet is made up of MAN, Fuso and Mercedes-Benz units, with low beds to move all the equipment around. Coupled with the heavy duty earth moving equipment is their quarrying and crushing equipment of crushers, screens and scalpers.